This high-protein seed is commonly confused with marijuana, but it’s actually from a different plant in the same family. Although it doesn’t contain the psychoactive substance found in marijuana, it is loaded with impressive nutrients. Unique to plant-based protein sources, the protein in hemp contains all 20 amino acids, including significant amounts of all nine essential amino acids that our bodies cannot produce.  This high-quality protein is easily digested and efficiently used by the body. Although high in soy, hemp protein is free of trypsin inhibitors that block protein absorption. 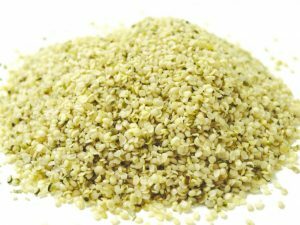 Raw shelled hemp seeds, sometimes called hemp hearts, contain 10 grams of this high-quality protein in just three tablespoons (30g). That’s 50 to 75% more protein than the amount found in either flax or chia seeds. Three tablespoons of hemp hearts provide all of the manganese we need in a day and almost half the recommended amount of phosphorus and magnesium. Magnesium is a mineral that is often found in low amounts in women; it helps with relaxation, blood sugar control, and blood pressure. Hemp hearts also contain critical minerals like iron and zinc, which are hard to find in plant foods, as well as B vitamins and three grams of fiber. While Hemp seeds are high in fat, it is only high in the advantageous omega fatty acids that boost our cardiovascular health and possibly benefit our immune and brain function, too. Hemp seeds are rarely allergenic, unlike many other nuts and seeds, and these hearty seeds are seldom affected by pests or disease, so the use of pesticides is not an issue. Hemp seeds are free of phytic acid that binds minerals and is common to most nuts, seeds, grains, and legumes. 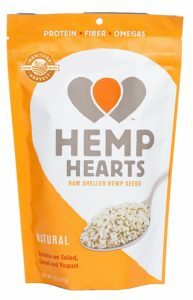 Hemp hearts are soft with a subtle nutty taste and are easily added to foods like oatmeal or smoothies in order to increase protein levels without much effort or change in taste. Toss them in soups, salads, cereals and granola, or chili. You can add them to any batter when cooking, or use them in pesto. Puree hemp seeds into smoothies or salad dressing. Add them to yogurt or even sprinkle them over ice cream. Take July’s Healthy Challenge and add two to three tablespoons (20 – 30g) of shelled hemp seeds to increase your protein during the day. Don’t go crazy with it, though. Those three tablespoons are packed with a lot of nutrients, so you don’t need much to make a difference. Spinach is packed full of healthy nutrients! In fact, green leafy vegetables like spinach provide more nutrition per calorie than any other food.